Aerial views of the landscape have fascinated humans for hundreds of years, from long before the first attempts at flight, so somehow it is not surprising that the first known aerial photograph was taken only 19 years after the first commercial camera was introduced. That first image was taken by Gaspar Felix Tournachon, a French photographer and balloonist, in 1858 and other Victorian and Edwardian aeronauts and aerial photographers soon followed suit. 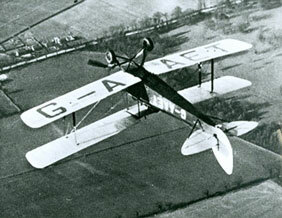 Aerial techniques were rapidly developed during World War One, the first commercial aerial photography company in the UK (Aerofilms Ltd.) was founded in 1919, and techniques have continued to evolve ever since. Today aerial photography is a growing industry, satellite imagery is increasingly present in our daily lives, and availability of drones (more formally known as UAV’s – “unmanned aerial vehicles”) is rapidly transforming it into a popular hobby. The very first aerial photo was taken for the purpose of mapmaking and surveying, an idea which was patented by Tournachon three years before a successful image was taken. Today, vertical aerial photography is still used for cartography (particularly photogrammetric surveys which are commonly used as a basis for topographic maps), but it is also used for a wide range of other purposes including identification of archaeological sites, geology, land-use planning and disputes, environmental studies including coastal erosion, conveyancing, powerline inspection, surveillance and reconnaissance, commercial advertising, and artistic projects. Archaeologists have been using aerial photographs to identify evidence of human activity and document changes in the landscape for over a century. Early efforts allowed large historic sites to be accurately viewed in their entirety and within their landscape setting for the first time. However, it also very quickly became apparent that, when viewed from the air, differences in ground conditions could reveal buried features that are not apparent from ground-level. Thanks to pioneers such as O.G.S. Crawford, by the end of the 1920’s aerial photography was recognized as one of the most important means of discovering new archaeological sites. 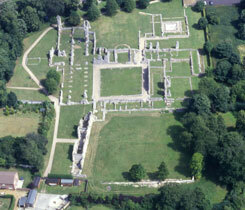 The importance of aerial reconnaissance for archaeological research has continued to grow and technology is now allowing techniques to expand. Multi-spectral imaging, capturing light frequencies the human eye cannot detect such as infra-red, is able to capture differentiation not seen by conventional photography, and airborne LiDAR (light detection and ranging) is revealing features previously hidden by dense vegetation.